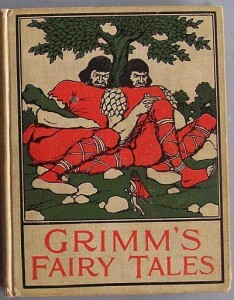 The Brothers Grimm have been getting lots of press lately, and not just because they turned 200 last month. Popular culture has been plundering them with varying degrees of success — and so their names and their twisty story lines are on our minds more than ever. But many people assume, Oooh, not for our kids! As parents we tend to want to present something of a Hallmark world to our children, so we naturally gravitate to soothing, sunny, children’s books, including sanitized versions of fairy tale classics. Wishing to shield them from the darker aspects of humanity, such as anger, greed, anguish, and cruelty, we wean our children on the proposition that people are all good. The problem is that even the youngest child knows differently in her heart of hearts. And the disconnect between what we — the ones they trust to be all-knowing — present them and what they instinctively and intuitively know (that there are negative human aspects) breeds insecurity and distrust. Unlike most screened children’s entertainment, which features gratuitous incidents of violence without any context, fairy tales have been carefully honed with meticulous attention to the meaning of every image and act. The early crafters of these tales had the wisdom and vision to know what they were tapping into and accentuating. 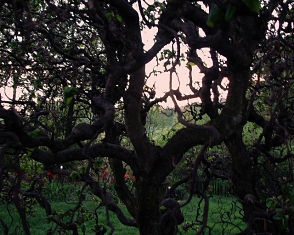 Fairy tales are universal, and engage deeply with the archetypes of the human psyche. The aim of much of today’s media violence is simply to grab the child’s attention, usually without context or resolution. The confrontation between good and evil in fairy tales is designed to address the knowing children possess within — that there is dark and light within each of us — and to show them the triumph of forces of light, goodness, kindness, courage. And yes, many tales include brutal scenes, but unlike electronic media programmers, a child’s own waking mind (as she reads or listens to you read) will not create an image intolerable to her psyche. “Good-day, Little Red Cap,” he said. All children struggle with psychic pressures of various kinds — inner impulses of the soul that are a natural part of growing and developing through each stage of life. The anger and other inner impulses they sometimes have toward us can feel desperately frightening to them — so huge that they don’t know what to do with them. If we as parents offer them nothing that suggests that we recognize and sanction these powerful forces, both light and dark, children may expend precious life force repressing them. When we gift our children with fairy tales, we offer them an exquisite mirror in which to meet themselves. We reassure them that they are okay. We give them material to give “life to the power of imagination lightly dreaming beneath the intellectual layer of consciousness, powers which are already there pressing for development,” writes Rudolf Meyer in The Wisdom of Fairy Tales. she will be better to eat than the old woman. True fairy tales don’t offer a fairy-behind-every-flower sentimentality of life, but rather a highly imaginative, symbolic yet unambiguous world that ingeniously provides a home for the child’s deepest soul stirrings. They are a crucible in which the child, unconsciously, becomes conversant with and gains mastery over inner conflicts. Courage is emphasized, together with growth of the tale’s protagonist. And good always triumphs in the end. Typically, a child will gravitate to her favorite tale and ask for that one on a recurring basis. When this happens you needn’t consciously understand what it is about the story that speaks to her — just know that it does, in most nourishing ways! Indeed, it is important, in giving our child the gift of a fairy tale, that we not “explain its meaning,” which robs the child of the experience of bringing his own soul and imaginative forces to the subliminal task of sussing out its particular relevance to him. Nor that we give him pat, definitive answers (“No, sweet face, there’s no such thing as giants or witches or Rumpelstiltskins”) and thereby defuse the tale’s power to enchant, and to inspire the child toward weaving individual solutions to her unique dilemmas. The tapestry of reasons for our collective softening as parents is too complex to fully explore here, but a contributing factor is the techno-materialism that has insinuated itself between not only parents and children, but parents and their wiser, stronger selves. The late social critic Neil Postman built a compelling case about the blurring boundary between childhood and adulthood in this age of electronic media. When visuals become central rather than the printed word, the distinction between childhood and adulthood fades. Childhood (and adulthood) thrives only when information, exclusively controlled by adults, is made available in stages to children in appropriate, psychologically assimilable ways — such as when it was primarily in written form. In an image-laden, media-saturated world, there are few secrets. I would suggest that even when we have committed to shelter our young children from media, we can still fall prey to this societal tendency to blur the boundaries between what we know and what they know. It is suggested that the deceptive power to mislead the soul’s pure nature is always portrayed in fairy tales by a wolf. Little Red Cap, whose hood symbolizes the emerging ego, wants to know everything about the world. Such knowledge also calls forth the darkening forces of matter. It takes experience and maturity to deal with such forces — and to guide our children in dealing with them. In today’s information age, the wolf is always at the door. And lest we forget…the wolf had to first deceive and mislead the grandmother before claiming the child. This entry was posted on Tuesday, January 29th, 2013 at 11:32 pm	and is filed under Parenting for Peace. You can follow any responses to this entry through the RSS 2.0 feed. You can leave a response, or trackback from your own site.